City Sidewalks. 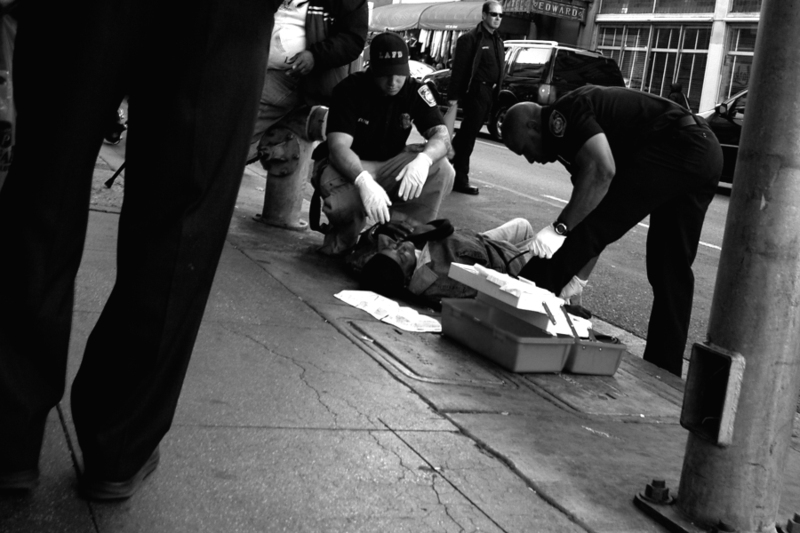 Busy Sidewalks: Around the corner from a slowly recovering Main Street, LAFD paramedics look after a fallen Skid Row resident. It was fast action by a few to make a bad situation less tragic. A CCEA Red Shirt stabilized the temporarily unconscious woman who fell into the street and the LA DOT traffic officer guided busy Toy District traffic away from the lane until LAFD paramedics came upon the scene to help the woman recover and place her in an ambulance.